This gun safe comes with an Electronic lock. Electronic locks are battery powered and require a push-button entry pad to enter the combination. Most entry pads are powered by an external 9-volt battery. Electronic locks are the most popular, particularly because they are more user-friendly than the mechanical locks. 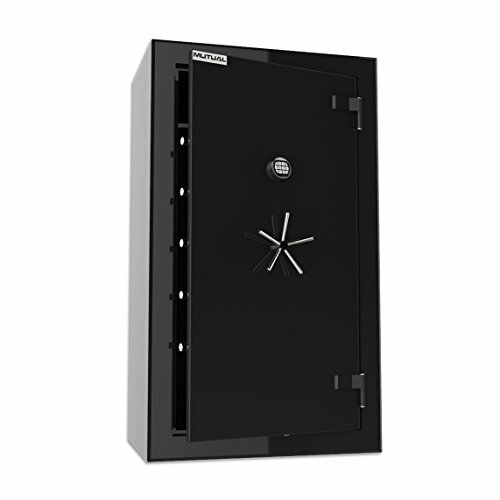 Electronic locks allow entry into your safe within a matter of seconds. It is also easy to change the combination on your own. The battery is located on the safe door, making it easy to replace. Basic features of the electronic lock include a wrong-try penalty lock-out period to deter "code-guessing", and a manager feature (a backup code with authority to delete or change the regular user code at any time.) Changing the combination by the user does NOT void our warranty and it is highly recommended. 3 way chrome plated 1″ solid steel deadbolts. If you have any questions about this product by Mutual, contact us by completing and submitting the form below. If you are looking for a specif part number, please include it with your message.